We had a lot of fun this weekend, but my absolute favorite thing was going to the play Pinkalicious with EJ and Olivia. Grandma got us tickets for Christmas and the girls have been anxiously awaiting the big day. They dressed all in pink (most girls there did the same) and we headed out for a "past their bedtime" night out. The play was really a musical, so there was lots of dancing and singing. The lead actress was young and I was super impressed. I have no idea how much they rehearse, but I'm guessing a lot! Wow! 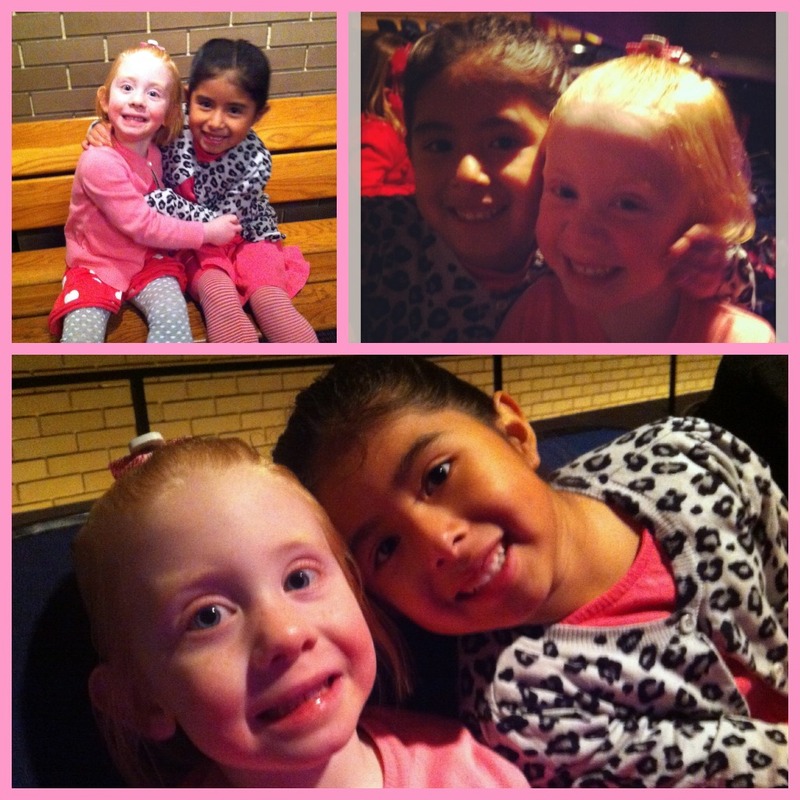 The girls had a blast (the bottom pic is before the play began and the top two are during intermission...I think the smiles say it all) and did such a great job that they earned special treats after the play ended. It was so late that we closed Alterra...party girls for sure! Thank you for a very special night with my girls, Mom!! !